Roadies 9 Journey – The Stunner ? The word “Roadies” bring out the madness, craziness, enthusiasm, sob stories, fake-ness & a lot more amongst the youth of India. As the auditions for the show begin, people await & prepare for days. The D- Day is jam packed with people which starts with GDs, forms and more & ultimately facing the judges trio – Raghu, Rajiv & Ranvijay. The Roadies journey is about to begin from Tomorrow , i.e March 17th. The interesting part is that for the first time in Indian Television, a show has been premiered on the Big screen. Yes, you heard it right. 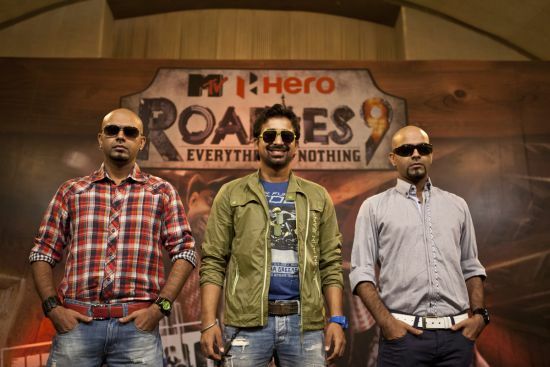 The premiere was held in Delhi on the March 15th, which showcased the start of journey of Roadies 9. This season promises to be bigger and the start is grand in itself. And it does not just end here. This is the first Indian reality Tv show to be shot in USA, says Rajiv. He claims that the audience would enjoy new culture since America is a unique place and everything is larger than life in that country. It will have a basketball task at San Francisco and a man versus wild survival task at the Death Valley of California. The journey of ‘Roadies 9’ will kick start from Jaipur, then Delhi, and finally to the U.S. This show promises a lot of adventure, back biting, plans & games, group-ism, over-the-top-drama, tasks, immunity, vote-outs, abusing & ultimately a winner with his/her Karizma bike. Ultimately, it will be a masala show ; living upto the name of reality shows. Only difference is that this one has major viewership of youth & children. Let’s wait and watch if the show lives upto it’s promises of being the most grand season ever. Let’s see if the show makers are able to make it any different after so many seasons. The episode telecasts on the television sets tomorrow at 7pm. 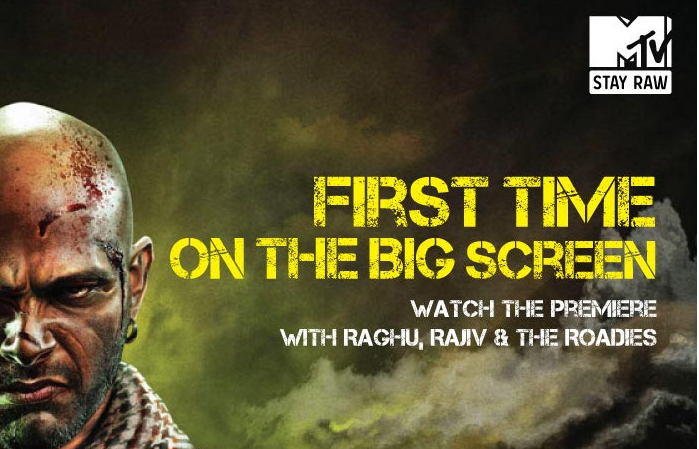 So stay tuned & do let us know what’s your opinion regarding the first look at the journey of Roadies 9. Cheers to the spirit of Roadies 9 !! Would you like to be a Gadget Guru…. Mobiles, Tablets, Laptops, Desktops, MP3 players, CD players, LCD, LED and so on…. The list of Gadgets is endless. Every week new gadgets make way to the market and one is tempted to try them out & buy them too. At times, it gets confusing and one just can’t decide what to buy and what to pass on. Well, don’t worry, Indian Television has some amazing shows that are here to solve this issue & help you decide on the best ones. This show is very much for you if you are not a techie. No jargon’s, No complicated words. It makes you understand the most complex gadgets in the simplest terms. It makes sure that you are updated with all the latest releases in the world of gadgets. There are neither fancy locations nor fancy hosts. And hence somehow it seems mundane and also the humor quotient is missing. It is one of the longest running and the most popular gadget shows on Indian Television. It has been on air for the last 3 years and takes a look at the coolest, funkiest gadgets out there, and gives a detailed insight into the world of gizmos. With Vikram Chandra and Rajiv Makhni as the anchors of the show, this show is highly enjoyable and informative. It covers what’s new in the world of gadgets, product tests, reviews, comparisons, shoot-outs and gadget gyan to use gadgets and technology better. The show has a great fan following too. So are you ready to enter the world of gizmos? Are you ready to pick your favourite gadgets? If yes, do watch these shows and as always looking forward to your views and reviews about these shows. 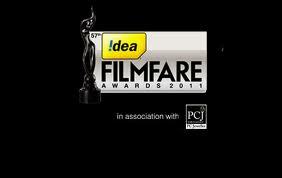 Are you ready for the 57th FilmFare Awards 2012!! Oh yes, the biggest and arguably the best Award Show that Indian Cinema has ever witnessed….Till date. And it is all set to knock on your Television sets soon. The Filmfare Awards are presented annually by The Times Group and is one of the oldest and most prominent film events given for Hindi films in India. The honour is been given to both artistic and technical excellence of professionals in the Hindi language film industry of India. The Filmfare Awards have been often referred to as Hindi film industry’s equivalent to the Oscars. (Well it’s a debatable topic, let’s not get into it) 😉 I know you must be eagerly waiting to find out the nominations for this year’s FilmFare Awards, but before that let me take this opportunity to share some interesting facts about these awards. – Surprisingly, the biggest blockbuster hit in the history of Bollywood – Sholay, won only one Filmfare Award in 1975 and that too for Best Editing. – ‘Do Bigha Zameen’ was the first movie to win ‘Filmfare Award For Best Film’. – In the 25th year of Filmfare Award ceremony, the statue was made of silver, while in the 50th year of its celebration, gold status were given. – Filmfare Award was initially named ‘Clare Awards’, after the ‘Times of India’ film critic – Clare Mendonca. – In 1969, Sunil Dutt organized a party for Dilip Kumar, when the latter beat him for ‘Filmfare Best Actor Award’. This started the trend of post-award parties in Bollywood. – In 2006, Sanjay Leela Bhansali’s movie ‘Black’ won 11 Filmfare awards, the most awards won by a movie in the history of Filmfare Awards, till date. Filmfare Award 2011 for Best Actor. This will be surely be one of the most toughest category, with such amazing actors in the race. Filmfare Award 2011 for Best Actress. Filmfare Award 2011 for Best Music Director – So who will win this award… who will you bet on !!!!! So are you ready….. Oh did I mention that Shahrukh Khan and Ranbir Kapoor will be hosting the show this year……. So get glued to the television on 29th January on Sony Television and watch your favorite stars dazzle the screen. Do let us know about your favourite moments during the award ceremony. It’s always good to know your views. Happy Viewing. The moment we hear “Javer Akthar”, all we say is WOW, what an amazing talent, what command over words. 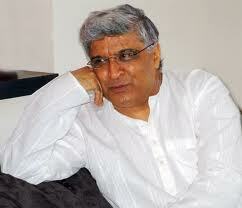 We are all too small to praise and write about him, but taking this chance to dedicate this post to Javed Saab. What better occasion to choose writing about him than on his 67th Birthday. Not many would know that his original name was Jadoo, taken from a line in a poem written by his father: “Lamba, lamba kisi jadoo ka fasana hoga”. But soon he was given an official name of Javed since it was the closest to the word jadoo. Did you know, in his early years living in Mumbai, he managed to write the dialogue for a minor film for Rs. 100. Soon he joined with his friend Salim Khan to develop the story for Adhikar. And the world knows them as Salim-Javed. Both of them had a wonderful run in the film Industry with super-hit movies like Andaz, Seeta Aur Geeta, Sholay and Don. You will not be surprised to know that Javed Saab has won the National Award five times and won the Filmfare Award fourteen times, seven times for Best Script writing and seven times for Best Lyrics. No doubt that he is a true gem to this Film Industry, and will always be one of the strongest pillar to this Industry. He is not just a poet, lyricist and scriptwriter, but a true gentleman, and a man of his words. iDubba and team takes this opportunity to wish him Happy Birthday . Will leave you all with his amazing poetry in “Zindagi Na Milegi Dobara”. Do let us know you favourite Javed Akthar written Movie, Dialouge, Poetry or Song. Happy Viewing! Were you missing your favorite programs and always wanted to catch them over iDubba? Your wait is over then- iDubba now features “Videos“ of almost all programs from popular English/Hindi channels. And just like you, even we don’t like pirated/substandard content. Hence all the videos are 100% genuine and uploaded by original content providers. It’s 100 times better than searching videos over youtube as you get the convenience and quality of watching TV shows right from our platform. Click on “Watch Video” button right in front of show image. Check Videos out (No need to login to watch Videos). For now you can only watch 5 recently updated videos, we’ll soon bring unlimited episodes too! After the huge success of Kaun Banega Crorepati (Season 5), Sony introduced 2 new shows on the same prime time slot last week. The new shows, “Parvarrish” and “Dekha Ek Khwab” both belong to Drama genre that premiered on Monday. Where KBC Season 5 has put Sony on the top of the list of channels with highest TRPs, it will be a challenge for the channel to maintain the same position. Parvarrish – Kuchh Khatti Kuchh Meethi is a family drama about two sisters – Sweety Ahluwalia and Pinky Ahuja. They compete as rivals to become better parents. Both families have different sets of beliefs and approach to raise their kids. Pinky believes in becoming friend with her children while Sweety believes in becoming a disciplinary mother. It is a story based on depiction of parent-child relationship. The show is about nurturing, supporting and guiding children in different walks of life. One can experience their own thoughts and beliefs of parenting through Parvarrish. There are different sets of parents everywhere and their varied approach about upbringing their kids and that makes it easier for viewers to connect with the roles portrayed. Dekha Ek Khwab is about the lead character Muniya (Priyal Gor), a simple down to earth girl who wishes for her own princess story. Somewhere in us all of us have for us a large dream. A dream we visit now and then secretly. A dream which we ourselves believe is out of our reach. But when dreams come true overnight they bring with them a set of challenges, complications and difficult decisions. Muniya’s dream of turning into a princess has come true, thanks to Rajmata Mrinalini Devi and Maharaj Brijraj Singh. But will her luck stick around for long? The concept of Parvarrish is simple yet attention-grabbing, however the way show is being treated with few overboard performances it is difficult to say anything about the success of the show. The positive point is that this show caters to a lager section of audience in respect to age. Dekha ek Khwab on the other hand disappoints as it seems to be coming out straight as a poor inspiration of the show “Princess Diaries”. The show doesn’t have anything exceptional or original contrary to what makers have been talking about it. The show started on a low note and with some poor performances, it fails to impress at all. However, the other prime time fiction shows on Sony like Bade Ache Lagte Hai,Saas Bina Sasural and the recently launched Kuch Toh Log Kahenge have gained massive popularity with the viewers. The bosses of Sony Entertainment Television will be sorely disappointed because it might get difficult to retain its leadership position on the top.